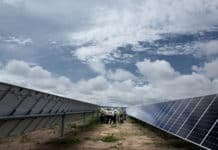 Investing in and making use of emissions-free, local renewable energy resources is one of the highest profile and most significant ways leading corporations have addressed the rapid rise in prominence of corporate social responsibility and “triple bottom line” business and industry sustainability that has taken place the world over in the last decade or so. Doing so boosts the credibility and legitimacy of their “green” energy and corporate sustainability efforts by demonstrating their commitment to improving social and environmental conditions, as well as contributing to local, national and the international drive to reduce greenhouse gas emissions and avoid prospective worst-case climate change scenarios. It also has provided the impetus for Aspen, Colorado-based Rocky Mountain Institute’s (RMI) Business Renewables Center (BRC) to develop the renewable energy Market Analysis Platform, an online market data resource and analysis tool that corporations and other large-scale solar and wind energy purchasers and investors can use to better understand market economics and pricing trends regionally, down to local site levels, across the US. Two-thirds of Fortune 100 list of the world’s largest corporations and nearly 50 percent of Fortune 500 companies have publicly disclosed sustainability commitments, RMI BRC highlights. Ninety-six jumbo-sized corporations have joined RE100 and committed to 100 percent renewable energy. Solar Magazine spoke with BRC Market Analyzer project manager, RMI Electricity Practice Group Manager Stephen Abbott to gain and share insights regarding the ambitious software platform’s development, what it offers, and how corporations and other large-scale purchasers of electricity can use it to help meet their renewable energy, sustainability and climate change action goals. RMI’s BRC is working to catalyze corporate procurement of 60 gigawatts (GW) of renewable power capacity by 2030. Available to all 200+ BRC members, the Renewable Energy Market Analyzer will help both buyers and developers of renewable energy projects build a more complete, accurate picture of wholesale electricity market economics across the U.S. based on real price histories for individual grid connection locations. 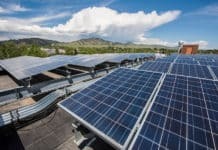 Large corporations, universities, and municipalities are increasingly interested in procuring renewable energy at scale due to a combination of increasingly ambitious sustainability targets and falling costs. “This software tool is able to identify high-value areas for wind and solar energy regionally. 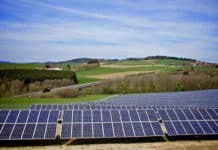 It enables people to create scenarios, then compare and contrast potential prospects regarding [solar or wind energy] transactions, identifying the most important questions they should be asking when meeting with developers,” Abbott elaborated. RMI BRC project team members are engaged in a continuous effort to improve the resolution, or “granularity,” of Market Analyzer’s data sets, as well as its geographic coverage. “We capture about 4300 data points around the country, calculating and aggregating results when end users first enter the system,” Abbott explained. Using a primarily visual graphical user interface (GUI), end users can view the results of pooled regional analyses, then zoom in on results for specific locations. The amount and quality of underlying regional market data does vary, however. As Abbott explains: “Some ISOs publicly disclose data of all node locations. For those we are quite granular.” That isn’t the case in other areas, primarily across the midsection of the U.S. and in the Southeast. “We’re looking for mechanisms that will allow us to scale to some 32,000 nodes nationwide,” he continued. “Sometimes the nodes are located at specific substations, but probably not at the ‘busbar’ where renewable energy systems tie in to grid, but certainly within the area surrounding that node. Large companies have added more than a rated 7.5 gigawatts (GW) of renewable power capacity to North American grid networks each year since 2014, according to BRC’s Deal Tracker. With Market Analyzer, BRC focuses on deregulated wholesale electricity markets where ISOs monitor, gather and store prices and other market data, Abbott told Solar Magazine. Notably, a sharp spike in capacity took place in 2015 as corporate investments in and purchases of wind power surged due to the anticipated expiration of the wind power production tax credit (PTC), one of the federal government’s two primary market incentives. Similar “boom and bust” cycles have occurred when it appeared likely the federal solar investment tax credit (ITC) would be allowed to expire. Both were extended and are being gradually phased out as part of a Congressional federal budget compromise between Republican and Democratic Party members at the end of 2015. 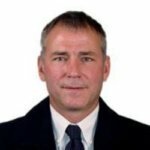 That said, growing adoption and expansion of corporate sustainability programs, along with the magnitude and expected continuation of declines in solar and wind energy costs, continue to fuel interest and investment in purchasing renewable energy from third-party solar or wind energy systems developed by independent power producers or utility “green energy” purchasing programs. There are a variety of critical, variable factors large-scale purchasers of renewable energy need to consider besides price, however, Abbott points out. Entering into a typical virtual power purchase agreement (VPPA) entails the buyer paying a fixed price per unit of energy and/or power over a specified term, say 10 to 15 years. 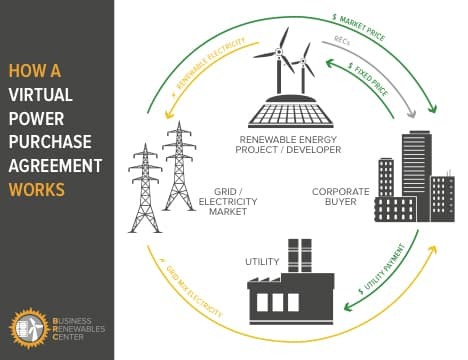 In return, the purchaser receives emissions-free electricity and any revenues that may result from selling energy in local or regional wholesale markets at specific points over time, as well as those from selling any associated renewable energy certificates (RECs) for which they may gain rights of ownership. Those prices are unknown when the VPPA is entered into and they will vary over the life of the its term. Swapping fixed VPPA payments for floating rate returns, especially over long time horizons, conveys significant financial and credit risks, and these may vary widely depending on average market prices of conventional and renewable grid power and energy in any one given area, their expected future values over the term of the VPPA, and the actual costs experienced over time. Added to these is the specific nature of and composition of local or regional wholesale markets and their respective rate regimes.